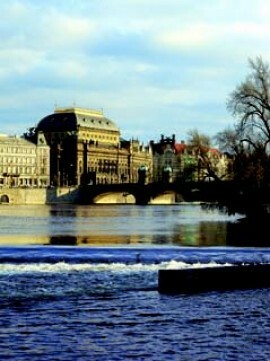 I have a ballet-crazy 4 year old girl in the house and lucky for her Prague is a fantastic city for ballet. 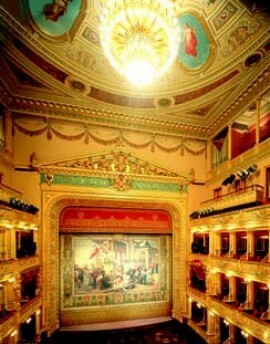 Ballet performances are spread over three venues within Prague 1: The Estates Theatre, The State Opera House and The National Theatre. We spend a lot of time going to various performances around town and here are a few of our opinions. We have two favorites so far: Cinderella (Popelka) and Goldilocks (Zlatovlaska). Cinderella is shown at The State Opera House and is two-hours long (including intermission, when you can wander around the gorgeous theatre) – just right for our attention span. It is fast-paced, tells the story clearly, and was very well acted (as well as danced). We loved it. Goldilocks is a deceptive title – there are no bears in this contemporary, original Czech ballet, but a cook who can speak to animals and who goes on a journey to retrieve the princess‘ golden ring. On the way, he encounters mermaids, seahorses, giant ants, sharks, and much more. The staging and design of this ballet is creative, full of humor, and magical– it might be the best performance I’ve seen at The Estates Theatre. 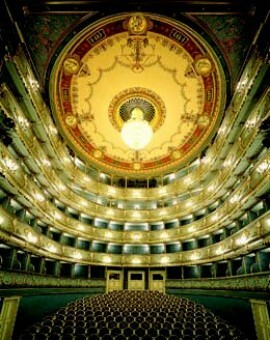 There is a singing narrator who explains the story (in Czech with English supertitles) and the orchestra sits just under the stage. It is long for young kids – but there is always something fun going on. 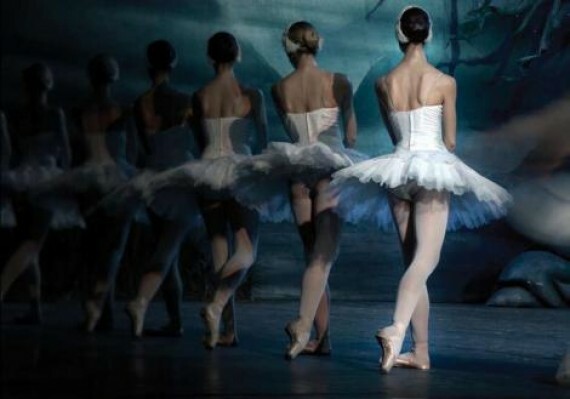 Other ballets we have seen are Sleeping Beauty at The Estates Theatre and The Nutcracker at The National Theatre. Sleeping Beauty is about as classic as you can get – frilly tutus, etc. But a fairly boring production for the adults, and many roles are danced by students from the Prague Conservatory (who aren’t quite up to the same level as one would expect at the National). The Nutcracker is a good performance, but beware! This is not the standard version of the story–it is a combination of The Christmas Carol and the Nutcracker. The adaptation is successful, but Johanka (4) found it scary and didn’t like it much. Obviously this show has great appeal over Christmas and January so it’s best you book as early as possible. Currently the booking site shows that there are 5 more performances of the Nutcracker available in December (albeit post Christmas Day) and 4 performances in early January. Tickets vary in price, matinee performances are substantially cheaper and there is a great online booking system ticketsonline.cz that firstly shows you the availability of tickets and then allows you to choose your seats according to price. Ticket prices range from as little as 50 CZK up to 1000 CZK or more, with an average price around 300 to 400 CZK. Here is a brief rundown on upcoming performances, further details can be found here. DIRECTIONS: National Theatre: take trams 6, 9, 17, 18, 21 or 22 to tram stop National Theatre. Estates Theatre: take metro A or B to metro stop Mustek. 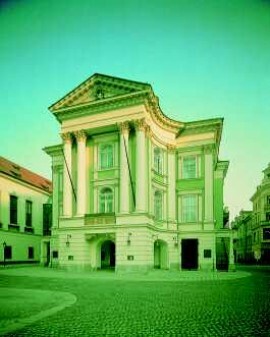 State Opera Prague: take metro A or C to metro stop Muzeum or tram 11 to tram stop Muzeum.